In 2019, new office design trends will focus on providing a more flexible, natural look that will enhance the well-being of employees to make them more productive and happier in the workplace. Office design trends are changing constantly. In the past, there was a heavy emphasis on the functionality of the office. In 2019, we can expect to see a major shift towards employee well-being. 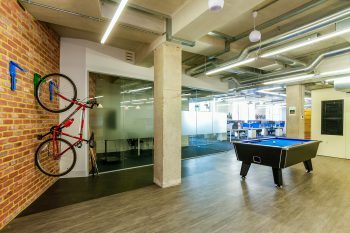 From office flooring to technology helping employees, businesses will be looking to make employees happy in order to lower stress and improve productivity. Happier employees aren’t just more productive, they’re less likely to leave the organisation and will deliver better quality work. This, in turn, means profit margins will be higher. 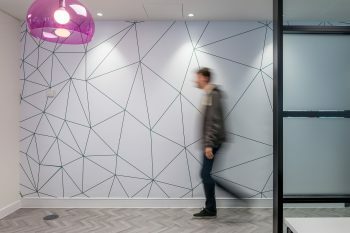 So, here are five of the top office design trends that will be big in 2019 and serve to keep employees content in the workplace. Employees sometimes need a change of scenery to get important work done. A quiet space might be needed for certain complex tasks that the normal office bustle can distract them from. Flexible office spaces are the solution to this. 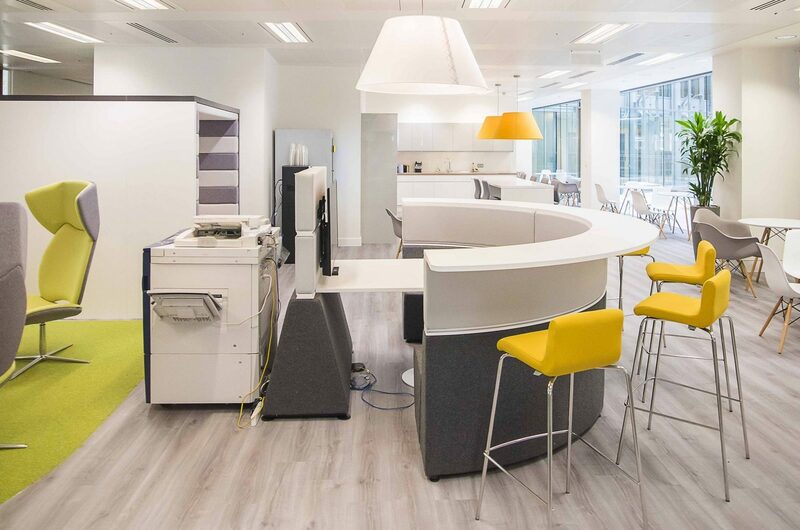 This style of office allows for furniture to be moved around as required and incorporates adjustable desks and accessible small rooms for quiet work or small meetings. These features help employees stay healthy and motivate them to work harder. But office furnishings being frequently moved around can also put a lot of stress on the carpet or vinyl of any office, so appropriate hard-wearing flooring is necessary. Biophilic design incorporates the natural world into the office space. Natural décor is linked to less stress, greater focus and an improvement in energy levels. There are many ways that you can incorporate biophilic designs into your office space. Vinyl flooring is a light reflector, so it brightens up office spaces with natural lighting. You can also use neutral, organic colours and patterns in your office to support your biophilic design. By 2020, it is predicted that millennials will consist of half the workforce. Millennials have different priorities when it comes to work. They are often less focused on money and instead more motivated by a sense of well-being. To prepare for this, many businesses are incorporating relaxation spaces for employees. These areas can include numerous features such as bean bags, mini fridges, coffee machines, game consoles and table tennis equipment. Such areas can be hard to maintain, however, which is why many relaxation spaces are using smooth surfaces, such as vinyl, which are easy to clean and more durable. There is an increasing trend for less division between working spaces than in the past. This helps to grow a sense of community amongst workers and helps build a culture that can be more beneficial to the organisation than leaving dividers up. There are also benefits for employees as their emotional and social well-being improves. Where dividers are still being used, the materials they are made from are becoming more natural, such as bamboo walls or planted areas, which are less imposing and create a more inviting atmosphere than traditional dividers. Strong flooring is a trend that started in 2018 and will continue into 2019. Many businesses are looking at the sustainability and ease of maintenance of certain types of flooring such as vinyl. There are many benefits of this including the range of colour, design options and the durability of the surface. Vinyl is becoming the main commercial flooring for those who are incorporating some of the trends above, as heavy foot traffic and regularly moving bulky office furniture risks damage to less durable flooring options. 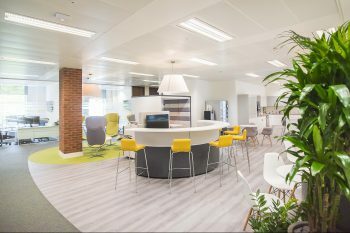 When it comes to ensuring your latest office environment is practical, productive and welcoming, you need to ask yourself if it is keeping up with the current trends.